According to the recent view, website loading speed is very important because consumers expect websites to load within two seconds or less. Anything more, they are likely to push the back button on their browser to go otherwhere. Adding a caching engine is one of the most effective ways to make a website load faster. So, WordPress users who want to implement this technology can choose from a number of plugins. However, the two most popular are W3 Total Cache and WP Super Cache. Although, while their goal is the same, these two plugins are fundamentally different in their handling and aimed at different user groups. 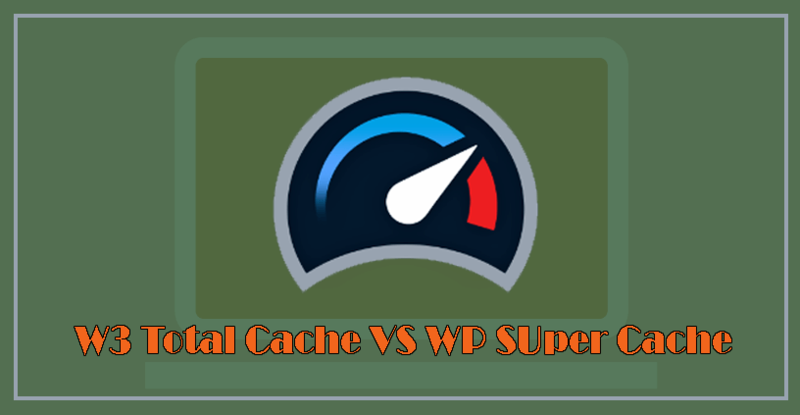 So, in this article, we’ll do a detailed comparison W3 Total Cache vs WP Super Cache to help you decide which one is the right one for you. But, before going to the comparison let’s see what is caching and why it’s important? What is Caching and Why It’s Important to Add Your WordPress Site? Caching means temporarily data, it’s a system that stores a static version of your website which allows WordPress to skip running the heavier PHP scripts and improves your website performance. By default, web browsers constantly save data from websites like images, files, and pages on your hard drive. That’s why, when you go back to the same site, they don’t need to load everything from the start but can use what they already have. As a result, websites appear faster on your screen. The true purpose of caching is to speed up your website and improve the overall user experience. Websites with slow loading increase bounce rates, decrease search rankings & conversions, and overall impede your site’s performance. This is why using a caching plugin can make a real difference in the success of your WordPress site. After having a clear sense of caching and its importance now we ready to dive into our plugins and how they compare to each other. We’ll compare both of them through some points and here we go. First, let’s talk about popularity. The plugins W3 Total Cache (W3TC) and WP Super Cache (WPSC) both of them have more than a million installs to their name. As well as, they also both have a near perfect rating by users. W3TC is also the caching solution choice for major sites like stevesouders.com, mattcutts.com, mashable.com, etc. However, W3 Total Cache is slightly ahead since it has three times more user ratings. This is because it appears first at plugin Caching plugin category. Sometimes, plugin costs are an important decision factor for many. Although both of the plugins are freely available in the WordPress directory, that’s why there isn’t much to compare here. But, W3 Total Cache also offers optional premium features that bring some costs with them. You can install both plugins like any other WordPress plugin simply go to Plugins > Add New, then search for their names, install and activate. After activation, W3 Total Cache adds a new menu item named Performance to the WordPress menu and there is nothing in terms of a tour or anything. Then, you need to click yourself on the (many) options to complete the setup. Unimaginable, there are a lot of settings, 16 pages full of them! However, you can use the extensive help section at the top. 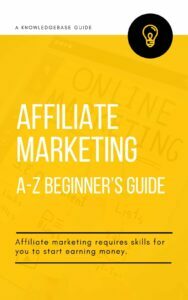 Besides, there’s also an FAQ menu that you can use to educate yourself. On the other hand, after activating WP Super Cache, it will prompt you to go to its settings page and switch it on. During entering the options users find a very different sight than in its competitor. One simple button to switch on caching on your site and you are good to go. Although, there are additional tabs and for the most part it’s as easy as simple, set it and forget it. Different types of caching including page, object, database, browser, and fragment. Files minification & compression (HTML, CSS, JS) and database. Improvement of web server performance. You’ll find each of these has its own dedicated sub-page with controls for so many details that they are just too numerous to list here (total 16 pages). There are also a number of premium options (we’ll discuss that below). On the other hand, WP Super Cache is promised to work especially well with low-powered servers even during heavy traffic. WP Super Cache also comes with the nearly-similar set of features as W3 Total Cache. Different types of page caching including mod_rewrite, PHP, and legacy. Export settings option for use on another website, etc. Having such a multiple features, it’s important that both of them are easy to use. However, in some cases W3 Total Cache, the strength is also its weakness. Because with so many possible options to configure, it’s overwhelmed for especially for beginners. Yet, it also offers a one-click setup option for its most important features that should work for the majority of people. On the other hand, WP Super Cache requires a little to use it. The user who completely uninterested in the technical side of caching can simply switch the plugin on and leave it at that (much more beginner friendly than W3TC). As we see, caching plugins are complex, so it’s important to have a good support structure for them. Both of the plugins here have that, W3TC offers huge amounts of information including the quick help section and FAQs. As well as, inside the plugin, there are also external support forums you can also hire them for premium support. In the same way, WPSC also has plenty of support options. Most of all there is a debug section and plugin messages telling you if something is not quite right to fix. It also contains links to installation help, FAQs, support forums and a development version. Besides you can find also recommended settings on the plugin page. When it comes to Premium offers between W3 Total Cache and WP Super Cache, we can see W3 Total Cache has its premium features that you can upgrade for $99/year. With the premium plugin, you get even faster acceleration with Full Site Delivery and unlock extensions for Genesis, WPML and much more. You can simply upgrade to premium service directly from inside your WordPress site or via the homepage. On the other hand, WP Super Cache does not offer any premium features. You can use it as free as long you want. However, there are no options to enhance it further. For speeding up, WordPress users can take advantage of several high-quality caching plugins. However, these two we discussed in this article are by far the most popular ones in the WordPress plugin directory. Both of the plugins offer a bunch of features to shave precious seconds off your website’s loading time and obviously do a good job in their department. That’s why they are trusted by millions of websites. So, which one is perfect? Actually, it’s difficult here to decide the perfect. But, it could be done by the user who is going for a caching solution for his/her WordPress site. Like, If you want to take full control over every detail of your caching needs to achieve great effects, then W3 Total Cache is for you. The only thing you need to be willing to put in the time to learn the configurations. On the other hand, WP Super Cache is more suitable for casual/beginner users who don’t want to dive too deeply. With minimal options (yet powerful) it’s great if you just want to add caching engine on your site but not think about it too much. So, in order to pick the perfect one, you need to make a choice that on which user group you belong to. Only this can determine which plugin is the right one for you. However, we’re looking for the actual user experience and that’s why we want to hear you. So, if you’ve already used either of the caching plugins on this article or both of them, kindly let us know your experience.